I know what you are thinking, another Drake remix? 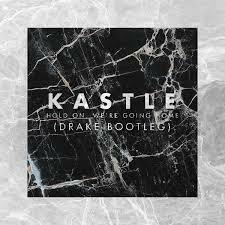 But I promise you that Kastle's remix of "Hold On, We're Going Home" is totally worth listening to and downloading. The original for some reason I really like, although it's pretty basic. Yet, Kastle turned this into a dance anthem that will be pumpin' out of your speakers for weeks. It's not done over the top, nor is there unnecessary sounds, it just has the right balance of tweaks. Stream and download below.